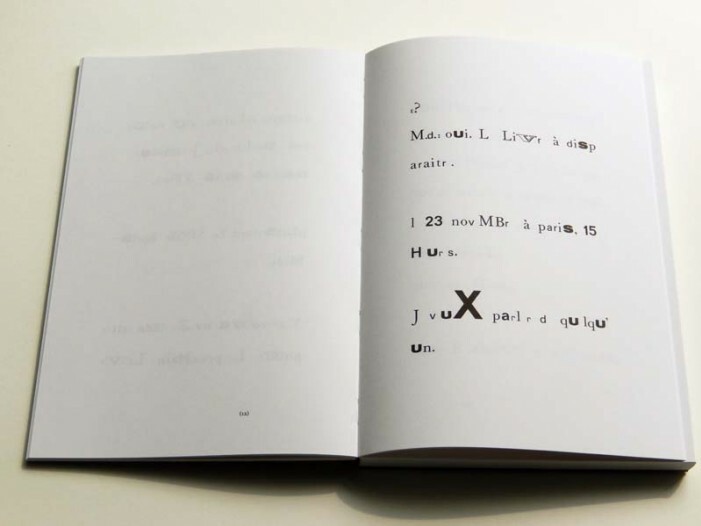 The Last Pages is based on the rediscovery of a set of Letraset dry transfer letters by Noëlle Cuppens. When she found out that these transfer letters were no longer being made, she decided to use what she had remaining to ‘re-write’ the last book of Marguerite Duras: “C’est Tout” (No More). The result is a manuscript of 96 pages on drawing paper with hand-rubbed letters. The manuscript was made into an Artist Book and is designed by Art Collart and printed at the Charles Nypels Lab, van Eyck.